Pros: A unique start-up culture, great value, a good climate and a solid entrepreneur community. Cons: The hiring process can come with many pitfalls, which may put your managerial skills to the test. Cost: A real city for bootstrappers, getting your business up and running comes with limited overheads. What to expect: A young, fast and vibrant country with a fierce work ethic and a strong motorbike culture. ​“We all know about the Four Hour Work Week. What I'm seeing here on the front-lines and as a veteran of this movement is an evolution of that concept,” explains Jon Myers, a designer who has been embedded in the city’s start-up scene for some time now. "I see this evolution and the circumstances aligning that make all this possible - from the platforms we leverage to run our businesses, to the networks we plug into - on to the social acceptance of being a location independent entrepreneur as inevitable. The main signatures of this evolution, which I'm seeing is the nature and types of businesses people are starting, and the types of people themselves." 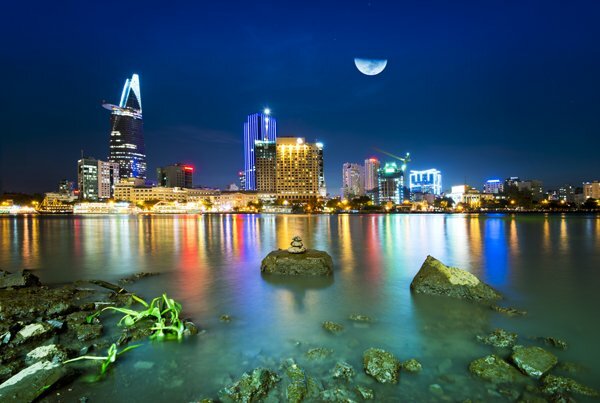 Can you tell us a little more about the businesses which work well in Ho Chi Minh City? They tend to resemble the scalable start-ups I'm more familiar with back in the states - and they don't resemble the temporary, passive-income businesses mentioned in the FHWW. Further, another type of signature of this movement, which is worth noting - the type of people joining in. I've had designers that work at Apple - who thought they were living the dream, read my Medium article on the Saigon [Ho Chi Minh City] start-up scene and quit their job and turn up here in Saigon to work on their start-up. The dim job prospects for college graduates has further fuelled the evolution of this movement. The A-Players who would have went on to work at Goldman Sachs are now turning up in hubs like Saigon, Medellin, Chiang Mai and so on - to work on their start-ups. The old script of what we're supposed to be doing is fading and we have the opportunity to write our own scripts. What are the best aspects of doing business in Ho Chi Minh City? While I don't really "do business" in Saigon other than hiring local talent, I run my businesses from Saigon. Thus, the very best reason for being here is lifestyle optimization. Every single aspect of my life is optimized. From housing (you can easily get set up here in a serviced apartment in less than an hour - and that apartment will likely have internet that is 30MBPS down) - and on to the value of services - my entire household is managed for a very affordable fee, and on to the food - where I have a protein smoothie delivered 10 minutes after I wake up - to the prevalence of the motorbike culture, which makes getting around in the central business area a 10 minute ordeal and finally, and on to - getting to the gym - where there is a high-quality western gym where I can take care of myself. All the things extra things I had to do that got in the way of my business back in New York, which are too expensive to get managed there - are done for me here for an affordable amount of money. The entrepreneur expat scene here is incredible. Just within my immediate peer network we have over 90 location independent entrepreneurs - all grinding on - their next big thing. Between being able to hire affordable staff to having my entire life optimized to tapping into the peer network here in Saigon, I can simply - get sh*t done and be inspired. Finally, the people. 70% of this country is under the age of 30. It's young, fast and fun here. I really love the people of Saigon. They remind me of New Yorkers. They are friendly with a healthy dose of scepticism coupled with a fierce work ethic. 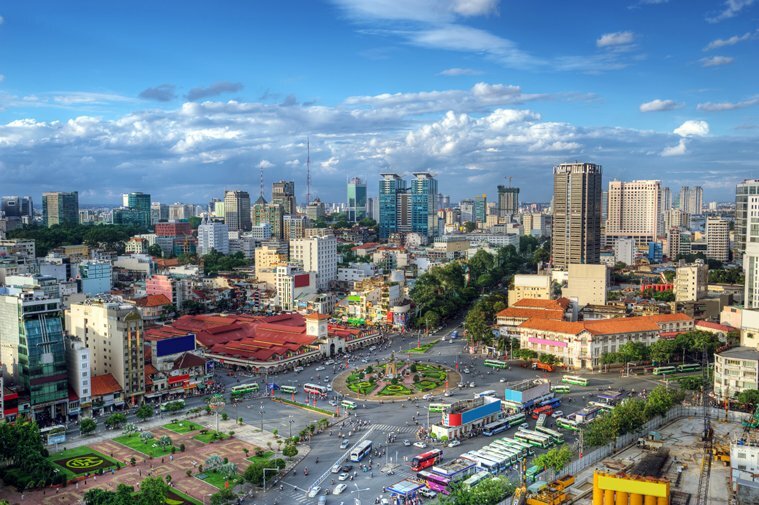 What are the downsides to doing business in Ho Chi Minh City? Like any developing country, you have people trying to take short-cuts to get ahead. This has been my experience in hiring. Then again, it's your responsibility as an entrepreneur to identify those weak links, which are usually an indication of something that is a breakdown in your process. How would you describe the business culture in Ho Chi Minh City? I don't know if I'm really qualified to comment on this, nor is anyone in my peer network qualified. We don't get involved in the business culture, other than hiring. Most leverage locally and market globally. But, just in general - it seems to be the typical, more conservative blue button up shirt, khaki pants hierarchical type of business culture you see in corporate suburban America. What are the costs of doing business in Ho Chi Minh City? Saigon is for bootstrappers who want to go somewhere to put their head down, enter into building mode and crank out their product or business. One could easily live on $1,500 a month here and live a quite privileged existence in a city where modern meets old. Local salaries for admins to coders range from $500 - $1500usd/ month. Thus, there are a lot of bootstrappers here in Saigon - and in general, the crowd here tends to be more serious and focused on execution. 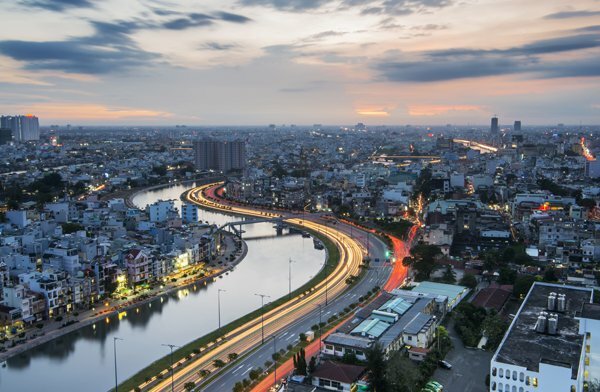 What tips would you give to an entrepreneur thinking of starting-up in Ho Chi Minh City? Know yourself well. What do you love, what do you hate. What irritates the crap out of you, what can you put up with and tolerate. Envision what your day to day looks like in x location, not what you occasionally do. So, with this - you have to know yourself really well. You have to know what floats your boat on a day to day (the boring stuff) - hour by hour, minute by minute basis. I like to occasionally go to the beach or take a motorbike ride into the mountains. I don't want to do that every day and don't care about the optionality to access it at my fingertips on even a weekly basis. There are drawbacks: It's loud, there is pollution and it can be crowded. So, with Saigon and the prospective entrepreneur - know yourself well. Do the pros outweigh the cons? Thumbnail and background image from gettyimages.